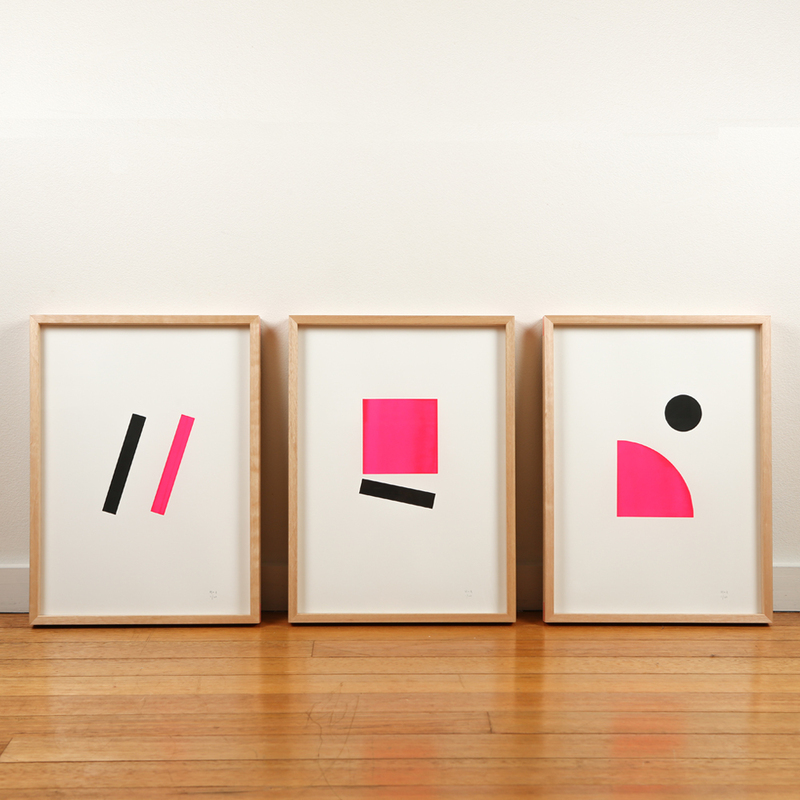 "Pink Circle" is from an edgy new series of limited edition screen prints handmade by Sydney's me and amber. The collection features minimalist, geometric designs and bolts of neon colour. The small black circle hovering above the neon pink circle sector creates tension in "Pink Circle", leaving us perpetually waiting for the smaller shape to fall and collide with the curved edge below and bounce off at a different angle. We especially love the subtle hand-printed texture of the block sector shape, and the contrast of the neon pink & black on the calm white background. The neon geometric prints look fantastic in groups of two or three. Choose designs from the same or contrasting colourway (eg. neon pink / neon green), or pair with one of me and amber's matching typographic neon screen prints. Fits most standard frames, the designers recommend no mountboard when framing! 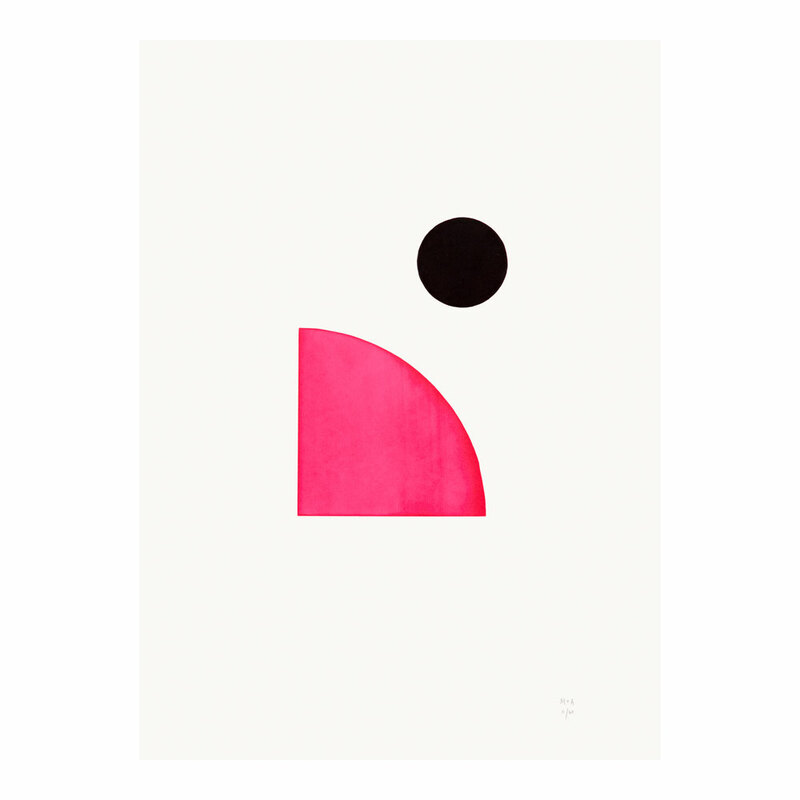 * Pink Circle Neon Geometric Limited Edition Screen Print on Paper ships as a large parcel and does not qualify for FREE SHIPPING offers.